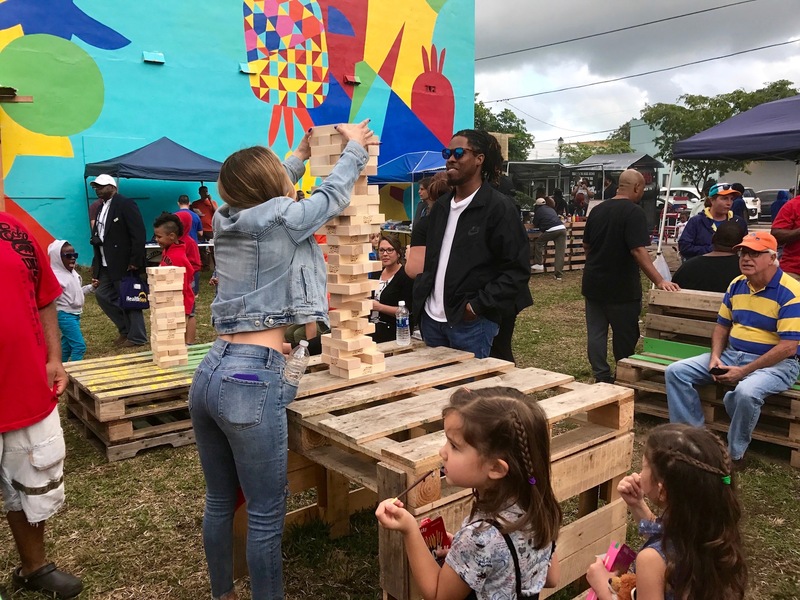 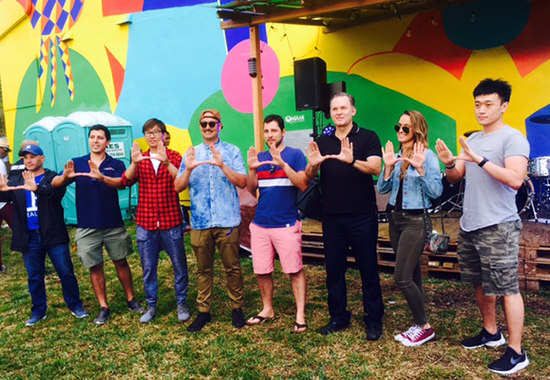 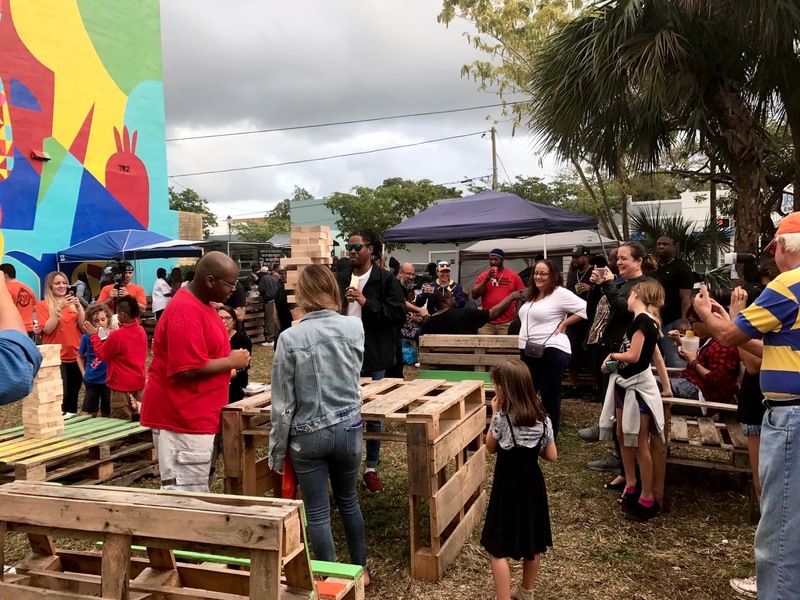 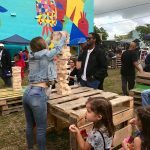 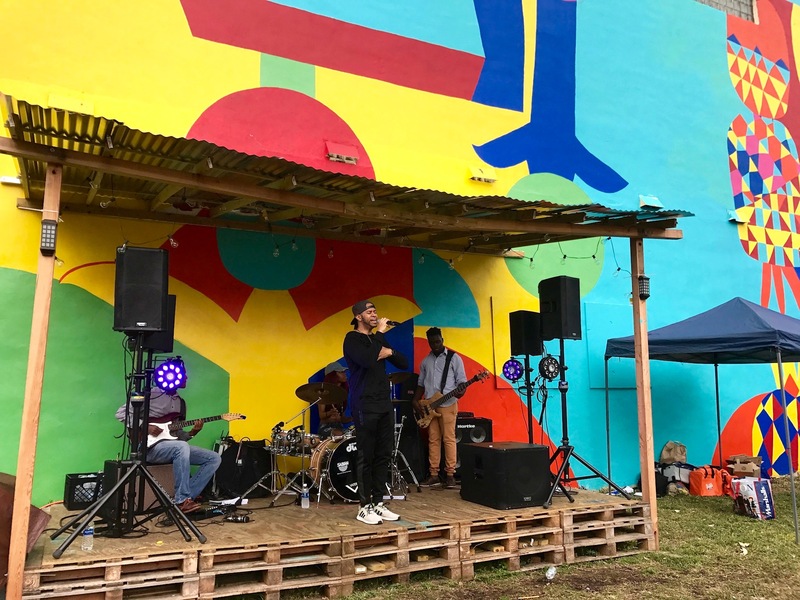 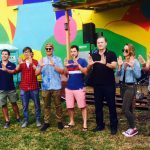 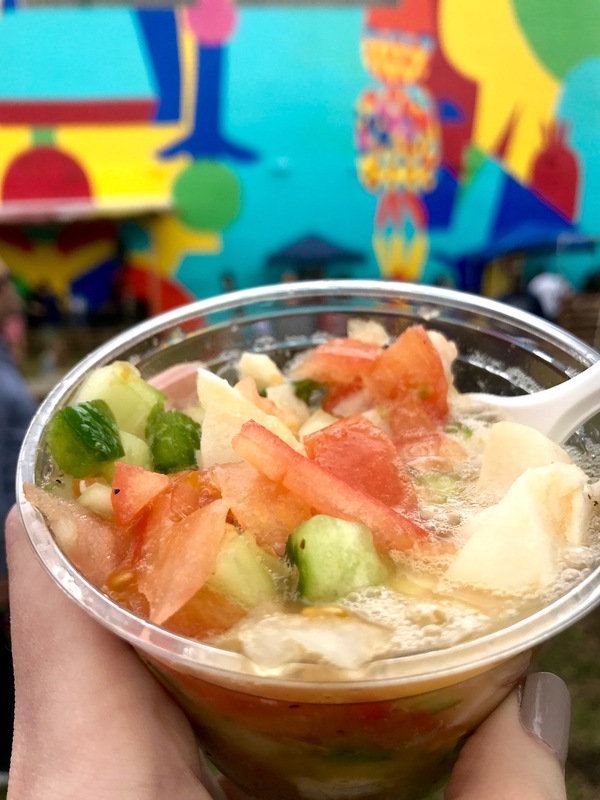 On Saturday, February 3rd, Coconut Grovites and guests gathered for a Caribbean-inspired block party at Goombay Plaza, the community-driven food market and public space spearheaded by the University of Miami School of Architecture and supported by The Knight Foundation. 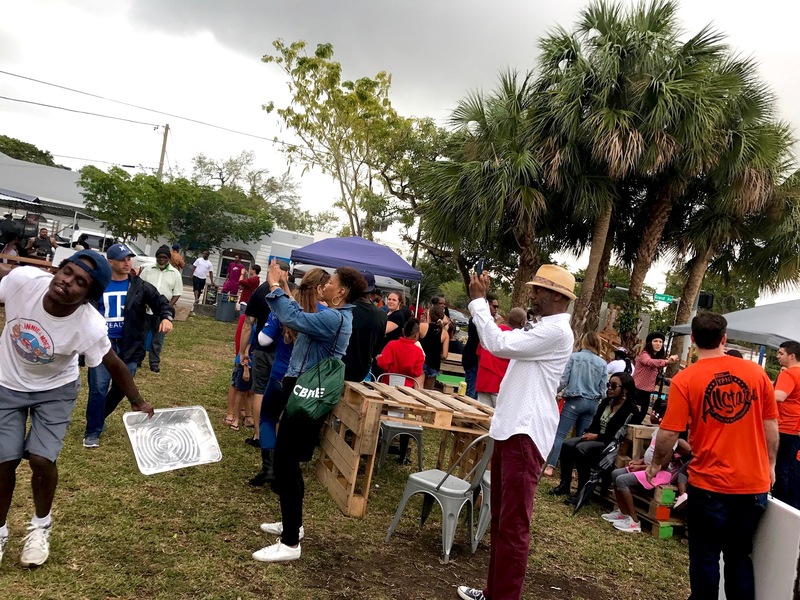 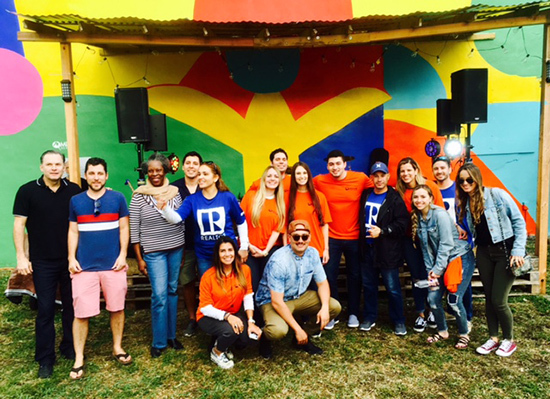 Presented by MIAMI REALTORS®, the festive gathering brought together local Coconut Grove vendors, community organizations, and neighbors hungry for delicious eats and ready for fun times. 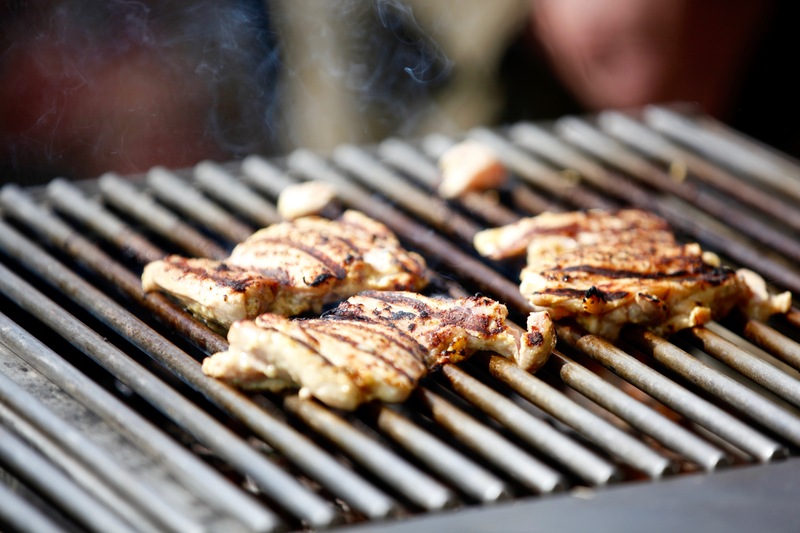 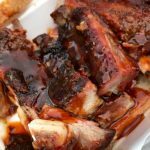 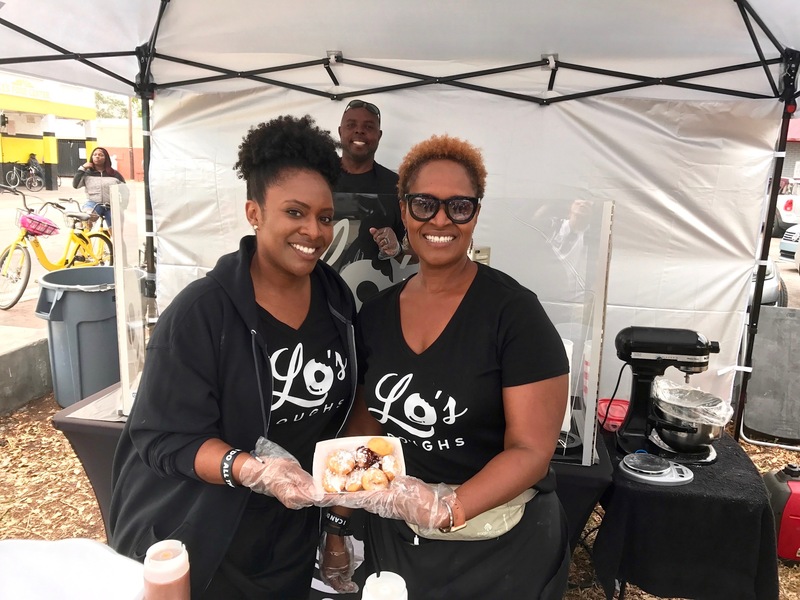 Local vendors served up classic dishes like BBQ ribs and chicken, conch salad, conch fritters, garlic crab salad and fish fry. 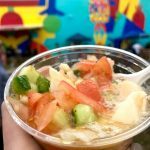 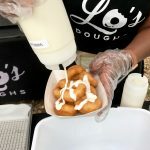 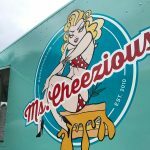 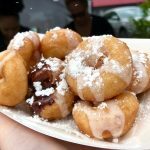 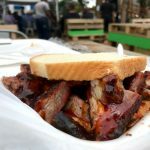 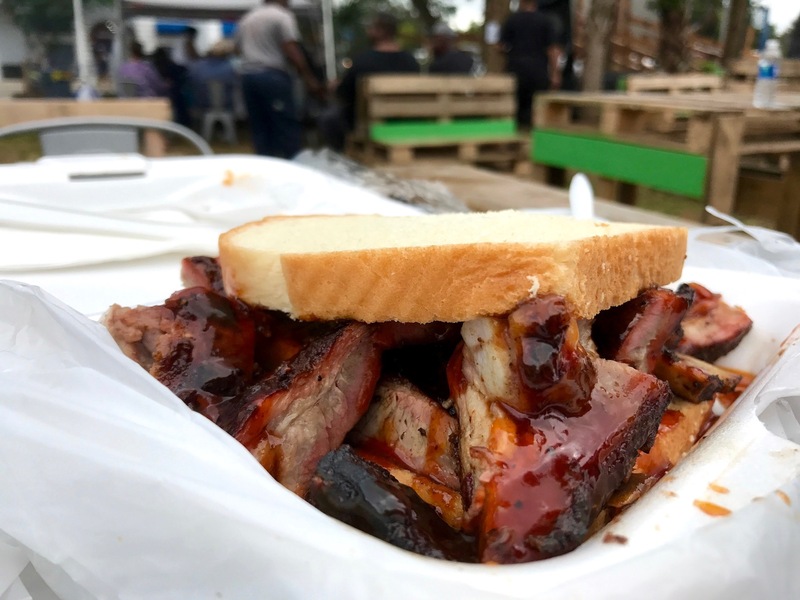 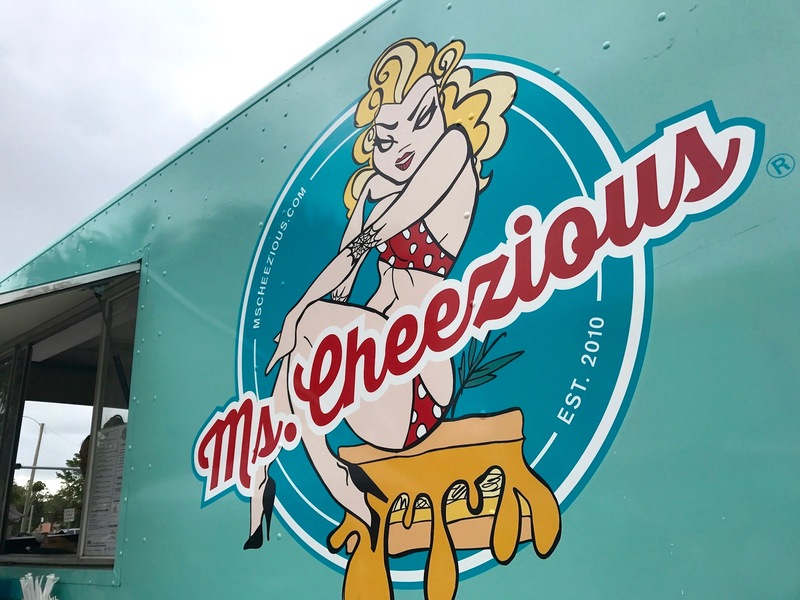 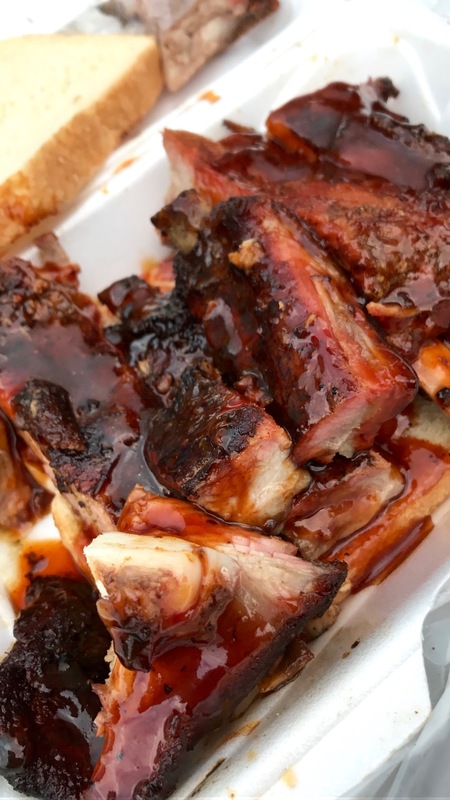 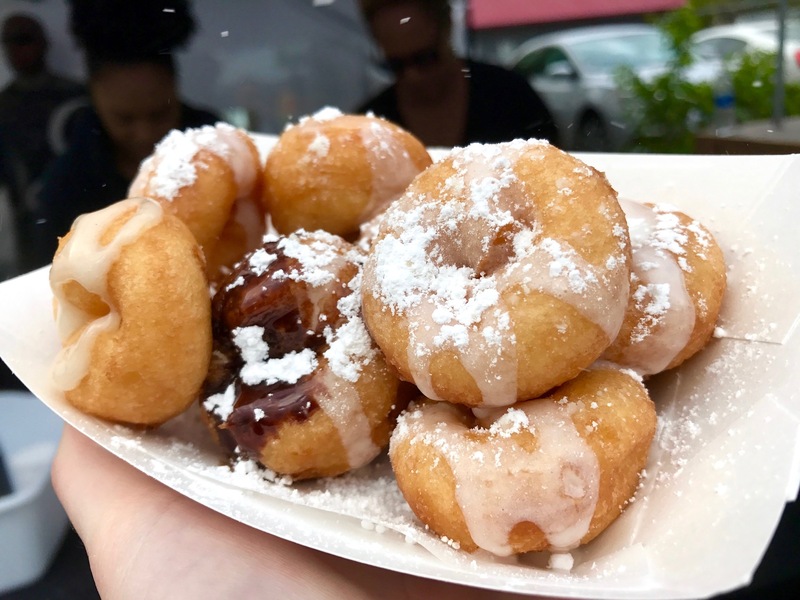 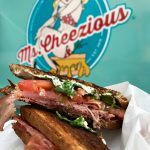 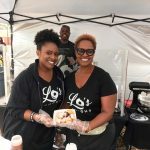 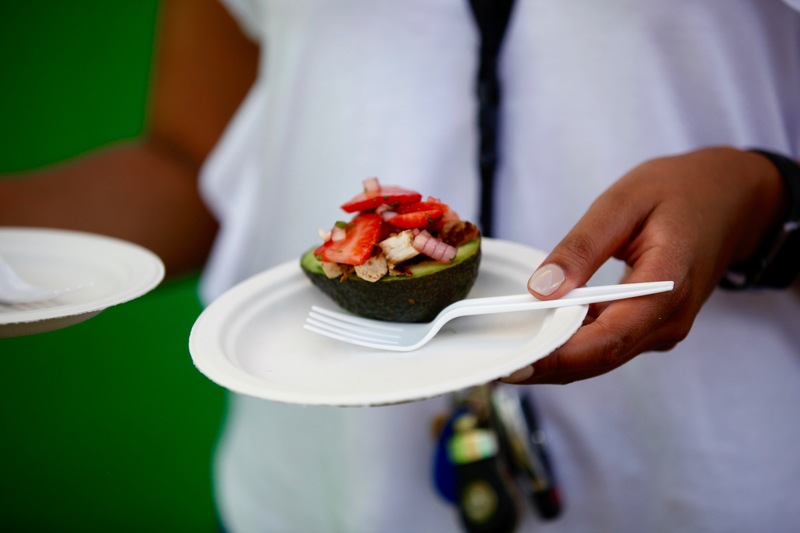 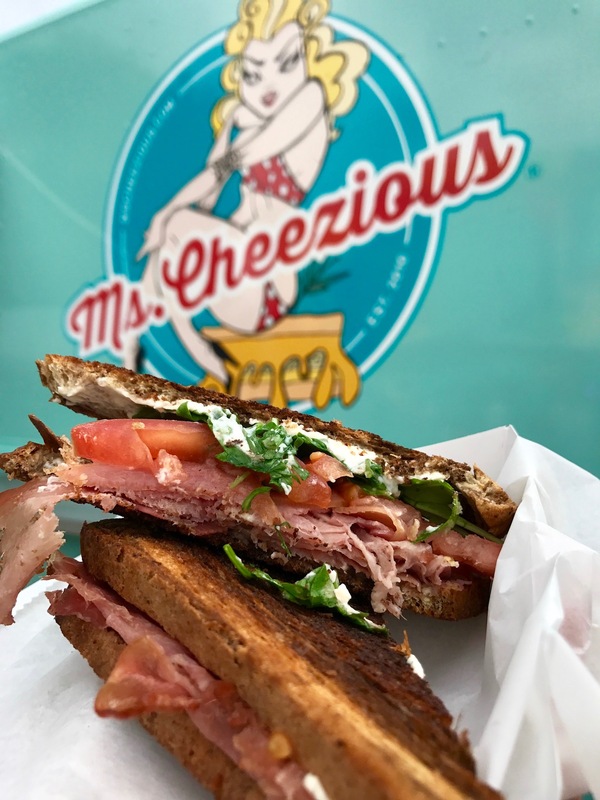 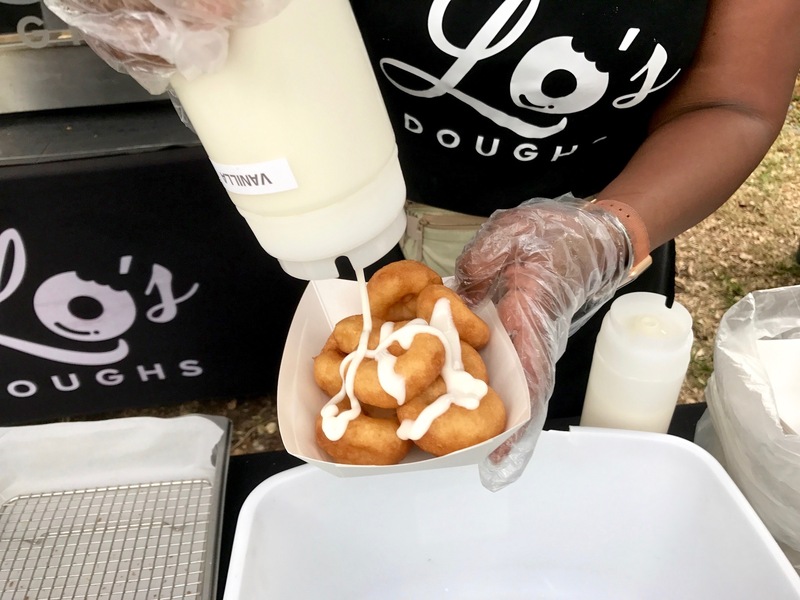 As the Caribbean flavors filled the air, MKTplace welcomed two new vendors to its foodie offerings: Ms. Cheezious, the local grilled cheese food truck, and Lo’s Doughs, frying made-to-order doughnuts. 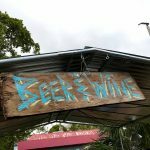 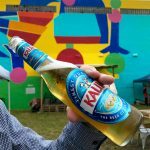 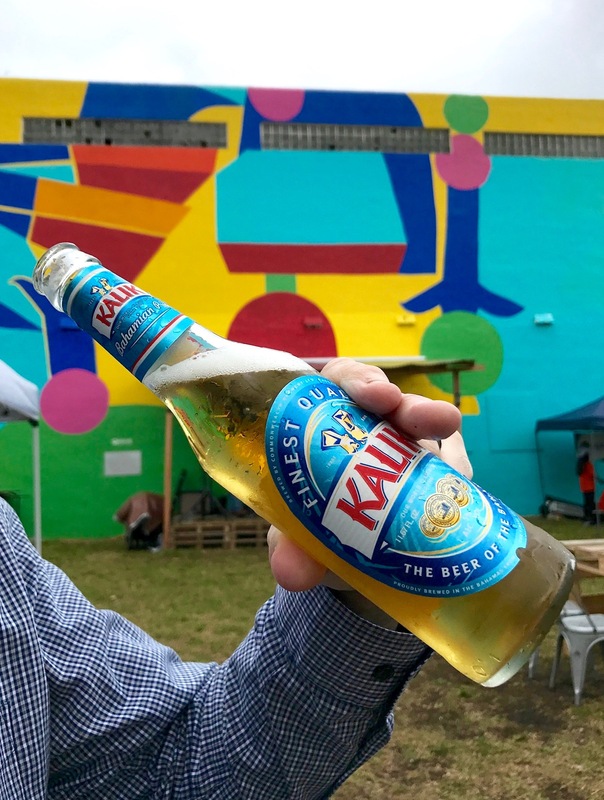 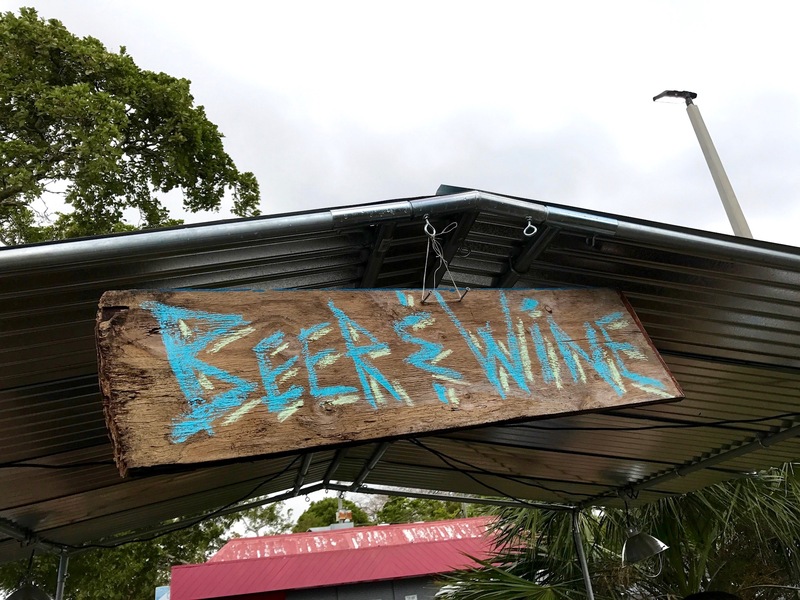 For refreshing sips, Shore to Door Fish Market provided Bahamian beers and wine at its pop-up bar. 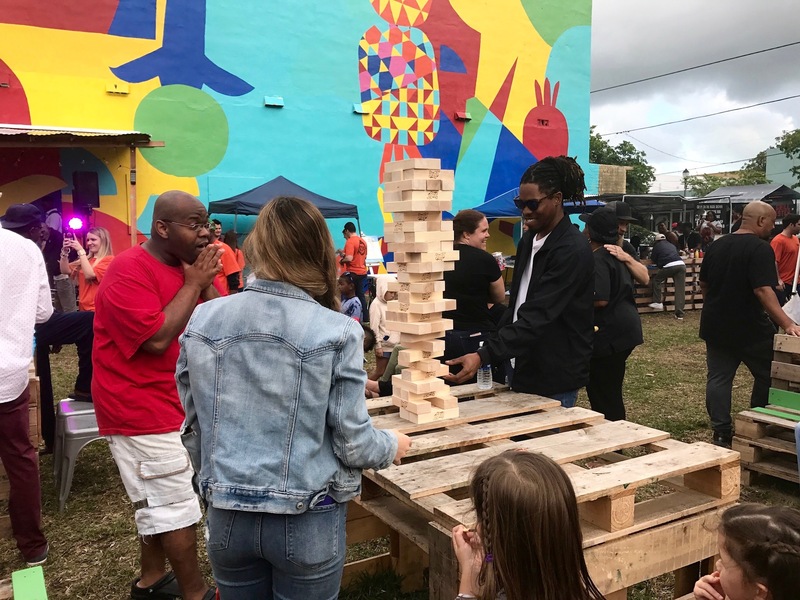 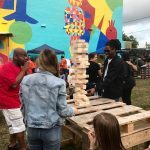 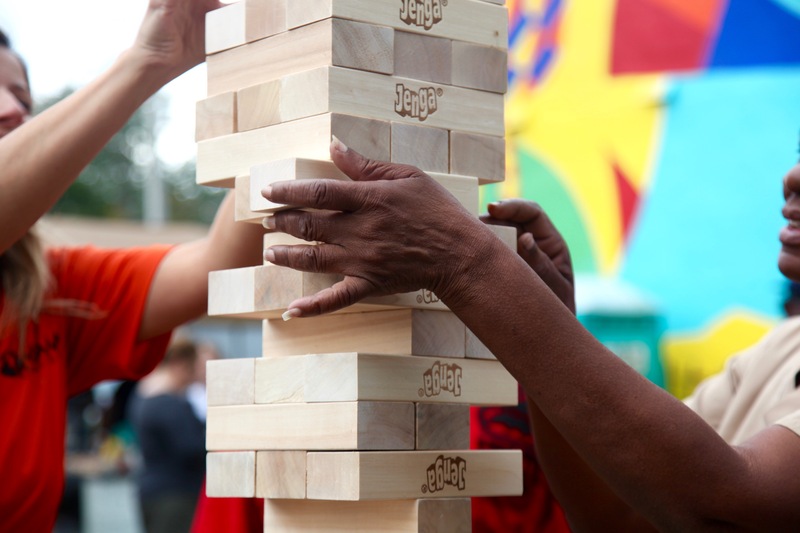 Live music by a local band, led by musician Alexander Star, and board games, like Jenga, added flair to the community party. 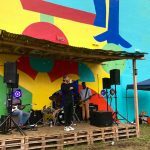 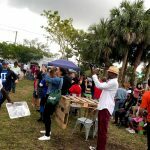 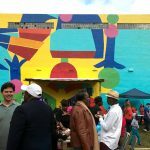 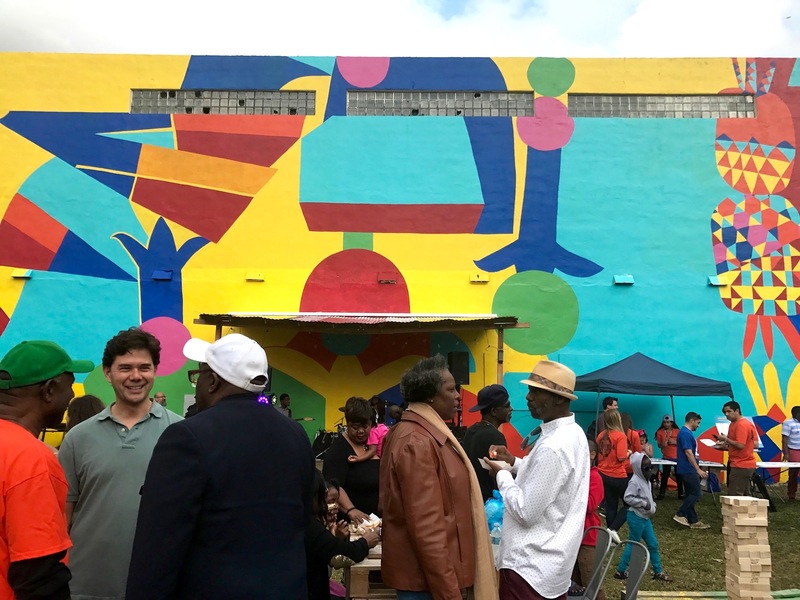 As the grand finale, Commissioner Ken Russell made an appearance to announce the MKTplace at Goombay Plaza community mural. 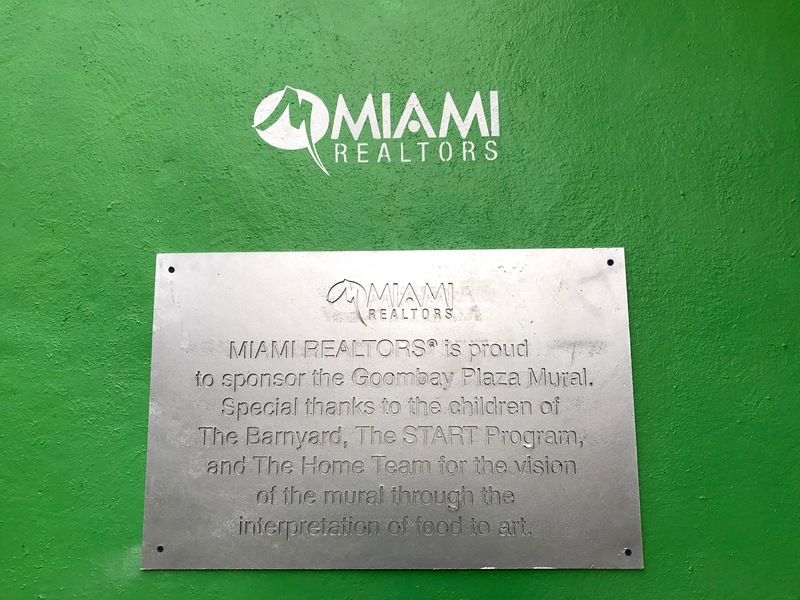 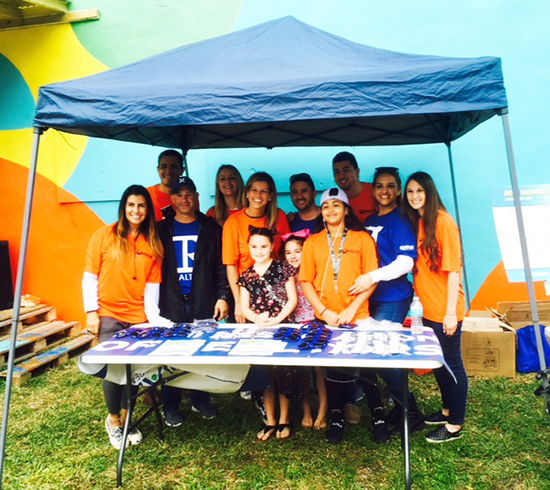 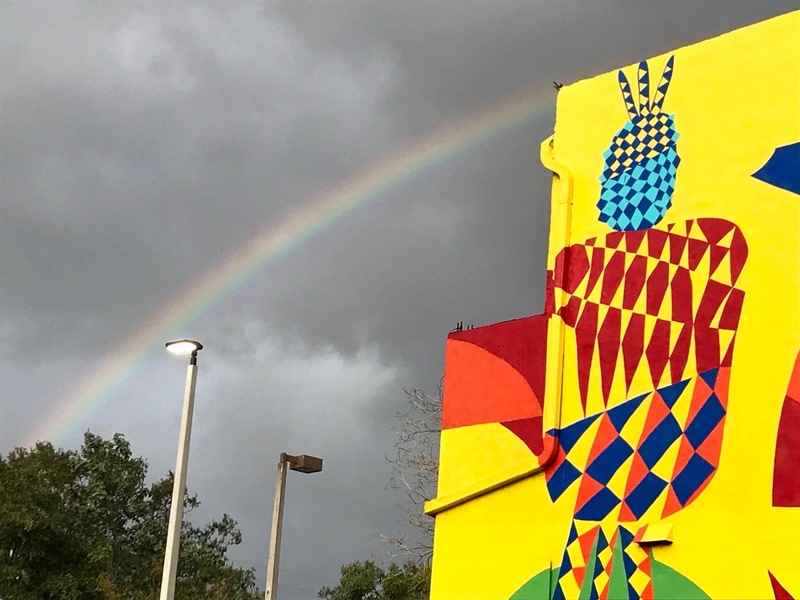 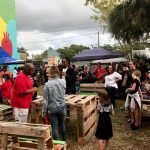 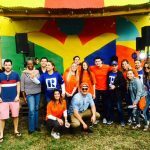 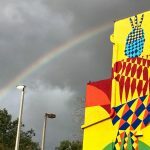 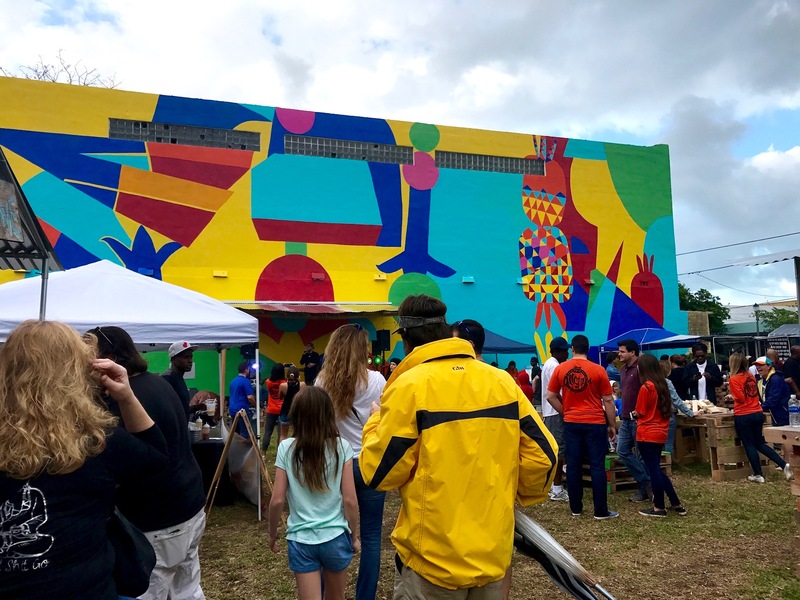 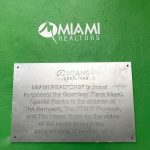 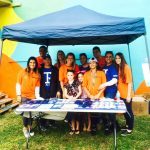 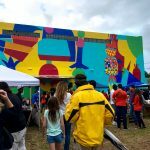 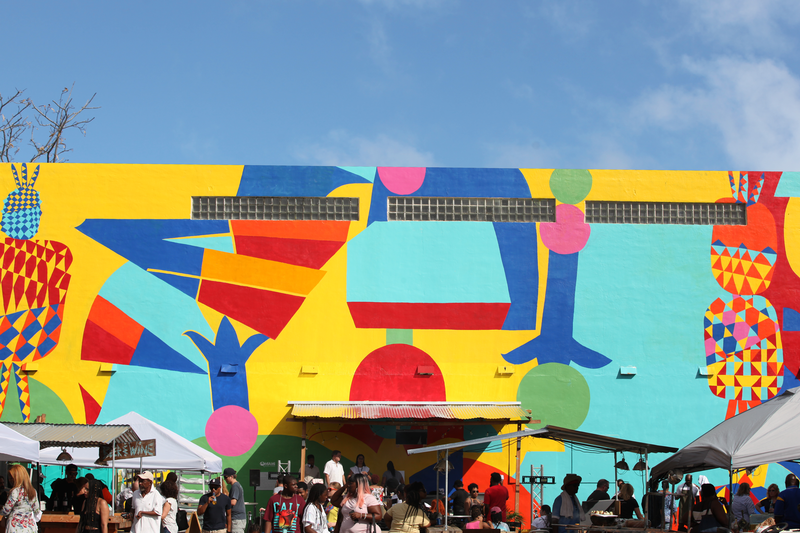 Funded by The University of Miami School of Architecture and MIAMI REALTORS®, the mural was conceptualized by local artist Wendell McShine and supported by The Home Team, The START Program, and The Barnyard – Coconut Grove Cares.